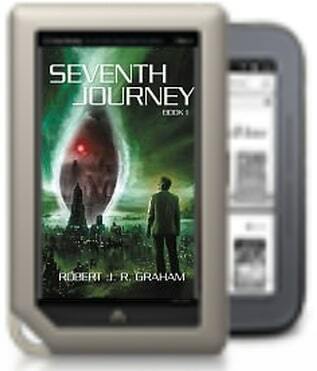 Seventh Journey – Nook Book Give Away! March is a very special month! This month I’m highlighting Seventh Journey‘s appearance in The Barnes & Noble Rising Star collection. This collection represents a hand picked Editor’s selection of Rising Star authors! This is a very prestigious honour, and I’m very thankful to Barnes & Noble as well as my publisher for making this possible. I would like to celebrate this accomplishment by having a Nook Book Give Away for my readers!! How will it work? The first 7 users who post comments below, or contact me via email or twitter will receive a Seventh Journey Nook Book gift – Free of charge! The only condition is that you post a comment on Barnes & Noble for Seventh Journey… that’s it! Thanks everybody don’t be shy, come get some free stuff! !